This book offers a key to several important chapters of the history of Czech lands, firmly anchoring them in a broad European context. 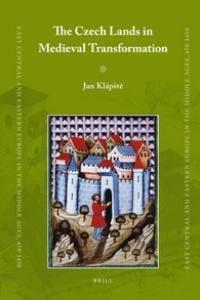 The Medieval transformation that impacted the Czech lands mostly in the 13th century is seen as a broad cultural change in which domestic preconditions encountered a system of innovations already evolved in West Central Europe. The main topics analysed are the onset of landed nobility, the transformation of the rural milieu, and the early history of towns. This analysis draws on every source category, including written testimony, archaeological findings, and architectural monuments. Inspired by microhistorical methodology, it does not indulge in general schemes but studies carefully chosen samples of the transformation and its natural differentiations.